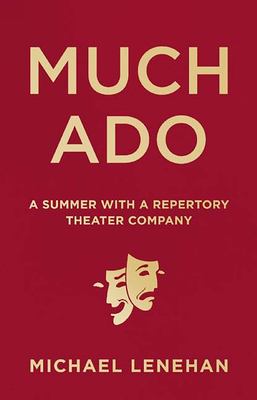 Much Ado, written by award-winning journalist Michael Lenehan, gives readers an intimate, behind-the-scenes look at the lauded American Players Theatre's 2014 production of William Shakespeare's Much Ado About Nothing. Wall Street Journal drama critic Terry Teachout has called the APT--based in the unassuming town of Spring Green, Wisconsin--"the best classical theater company in America." It's also one of the most successful, with an annual budget of $6 million and ticket sales of more than 100,000 each season. Performing almost entirely outdoors, rain or shine, on the "Up the Hill" stage, the company has established a reputation for authentic, accessible, entertaining shows--and Much Ado was no exception, selling nearly 23,000 tickets during its five-month run. Through Lenehan's keen reporter eyes, Much Ado explores the evolution of this complicated stage production, from casting to costumes to curtain call. In doing so, it provides readers with a deeper sense of the company's astonishing artistry and craft, a peek into the intricate technical logistics involved with outdoor theater, and a refreshing perspective on one of the Bard's most famous plays. Lenehan weaves together firsthand observations and literary analysis with interviews with key members of the APT's artistic ensemble and production staff--including lauded director David Frank, lead actors Colleen Madden (Beatrice) and David Daniel (Benedick), and set and costume designer Robert Morgan--to paint a remarkable portrait of one of our most treasured artistic institutions. Michael Lenehan is an award-winning Chicago-based writer and editor who for many years was the chief editorial executive at the Chicago Reader. He has written for the Atlantic Monthly, where he was a contributing editor in the 1980s and 90s, and for Chicago magazine and the New York Times, among others. He is the author of Ramblers: Loyola Chicago 1963--The Team that Changed the Color of College Basketball. He grew up in Fair Lawn, NJ, and graduated from Notre Dame. He lives in Chicago with his wife Mary Williams.